We would like to introduce you to the beachfront Sea Mist luxury condominiums. For decades, the Sea Mist has stood prominently as the most photographed building in Cape May, NJ. Now this landmark building is ready to re-emerge reborn for you to enjoy as your summer and off-season sea shore retreat. Located in the heart of historic Cape May, on Beach Ave. between Jefferson and Queen Street, this centrally located property allows you to experience it all in the center of it all. Leave your car parked in our off-street parking, and walk just steps to the beach, fine dining, shopping, or a night on the town. In the morning, watch the sunrise over the Atlantic Ocean from your own private deck, or walk across the street and stroll along Cape May's promenade. We invite you to come experience the brand new Sea Mist, relax, enjoy, and take part in the continuation of her long standing history. 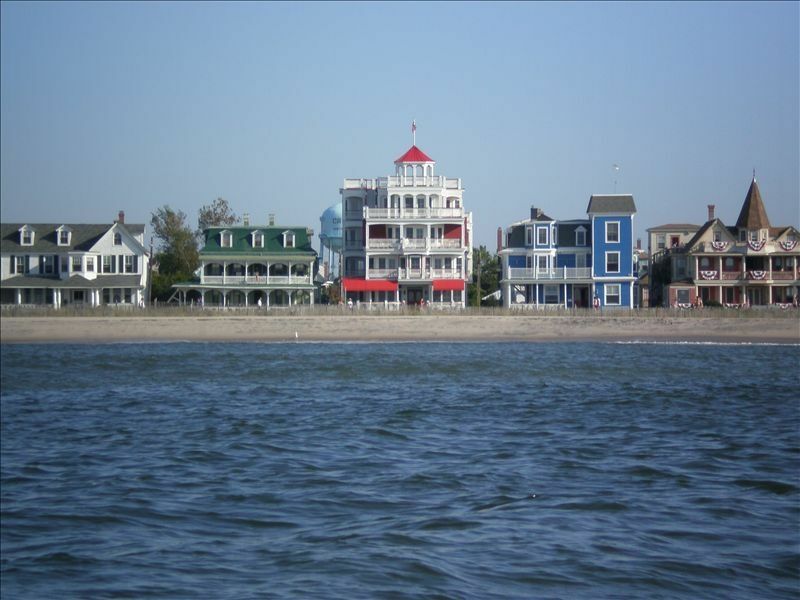 I have been vacationing in South Jersey my entire life, and have spent every summer as a young boy working in and enjoying the Cape May area. The shore is where we relax, rejuvenate, and spend time with family and friends. My wife and I love the water and we enjoy all kinds of water sports including offshore fishing, kayaking, hobie-cat sailing. I love waking up at the Sea Mist and having immediate access to the beach or ocean for a morning run or just a pleasant view to enjoy breakfast. The Sea Mist is a hard place to leave for so many reasons, but I am glad that our guests can take advantage of everything that there is to offer. My wife and I love Cape May, and it is where we got married. It has been a lifelong dream to own a property in Cape May, especially along the fabulous beachfront. It is hard to acquire a better location then where the Sea Mist stands, it is ideal in every respect. I love being able to share this property with our guests so that they can experience everything that is so magical about Cape May. The Sea Mist symbolizes everything about what Cape May represents. Capture Cape May Charm, return to history as it is a landmark building which just finished historical renovation. Enjoy ocean views and ocean breezes. Park at the Sea Mist & just walk anywhere in Cape May. Stroll along the boardwalk with your family or go across the street to play games or shop, or have a romantic walk on the white, sandy beach. Enjoy the setting sun or watch it rise in the morning. Experience old Cape May, but now in brand new, modern, customized fashion with every amenity possible. Lovely place right across from a quiet beach. Unit had everything we needed. Very neat and clean. Perfect size for 2 people..
We loved our stay at the Sea Mist. The condo is in a perfect beach location. It was very clean and well appointed. There were a few things that I would mention that we didn't anticipate. The neighbors on the floor above were up early and stayed up late. We could hear their footsteps that seemed much louder than necessary. There were also loud banging noises coming form the upstairs neighbors. Other than that, it was a good vacation. Lovely experience at the Sea Mist! Incredible location! Would love to go back! Great, well-cared for condo on the beach! Had a wonderful week at the Sea Mist. Greg is a great host - clearly explaining everything we needed to know before we arrived. The unit is in great shape (recently renovated, well-stocked with appliances, cooking equipment, etc) and couldn't be in a better location. We certainly plan to return in 2018!